What are you depositing into your life? Think about it, because whatever you deposit is exactly what you are going to withdraw. 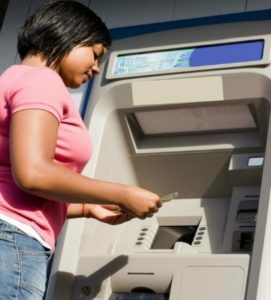 When you go the bank or ATM you can only withdraw funds that have been deposited. You can’t deposit $10 and then withdraw $1000! The food that you eat nourishes your body (or harms it) and then is expelled through waste. Well this is the same concept for what we feed ourselves through our eye and ear gates. You are depositing information into your brain and soul by what you watch, listen to, and who you surround yourself with. Each one of these things, among others, feed our mind, body, and soul. What you deposit is the life that is produced. If your life is not in a good state, you may believe that life just happened to you. You may think that you have no control over your life. You may even feel like a victim. It is true that we cannot control everything that happens to us. Many things that happened to you may not be your fault. However, you can control how you react to those things, and then how you choose to live now. I can empathize with many struggles. That is why I am a Social Worker, because I have empathy and I want to assist those who God places in my path to help. The best help that anybody can give you is to help you discover your own power. You may have been victimized, abused, and misused, but you do not have to BE a victim. You do not have to sit on the sidelines of life and simply watch what happens to you. You can start to steer and guide your life in the direction that you want it to go. You can steer it by making a conscious choice to put IN what you want to get OUT. One of the things that I wanted most when I was younger and going through my struggle was peace. I need peace in my life. Ask yourself what you want? Do you want: peace, love, joy, happiness, success, education, a career, to travel, to own a home, a vehicle, family, friends, to own your own business, to be healthy, adventure, a spouse or life partner, children, to be single and free, to be a good person? Do you watch TV programming that is filled with drama and negativity? What is the last book you read? Do you read at all? Do you speak negative words over your life? Are you using substances such as cigarettes, marijuana, street drugs, or excessive drinking? Do you regularly and consistently engage in making bad decisions and choices? Research, study, and gain knowledge about the career you desire. Read informational and inspirational books, magazines, and articles. Surround yourself with positive, successful, and supportive people. Find a mentor or someone who is on a higher level than you to learn from. Start making better choices about intimate relationships that you engage in, and start by realizing that you actually have a choice. Make family planning decisions, such as not having children until you are in a position to provide for them. Be a source of light and love in the world. 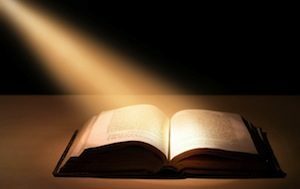 One of the best ways to put IN the right deposit is by reading the Word of God. That’s the best deposit that you can make! Take assessment of what you are depositing into your life. Be honest with yourself. If you are reading this and you want to get something different OUT of life, start putting something different IN. Any ideas, please leave them in the comments below. Lots of good advice in one place; you could teach a couple of seminars just from this! Great post and insight LaTonia and it is reflected in your work with others. I love how practical your articles are yet with so much depth! Keep writing sis, keep ministering!!!! Love it!